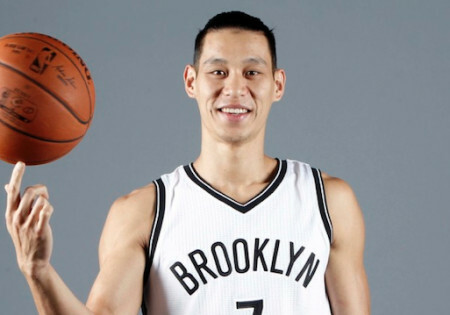 Forgive me for paraphrasing a little bit in the title on things Jeremy Lin has recently said in his interviews, as the next chapter of his career, this one with the Brooklyn Nets, is about to begin. You know that smell in the air before the rain? There’s that same sense before the beginning of a new NBA season. After the difficult months following summer league when it’s all theorizing and speculating, training camps have started, preseason games are just around the corner, and before you know it, it’ll be November, with the 2016-2017 NBA season well underway. At his best, Jeremy Lin is one of the more exciting players in the NBA. Yes, for those who haven’t been following us following Lin’s career, you may be surprised to read it. YOu may barely remember something about Lin starring for the New York Knicks in 2012 and making them easy on the eyes, something that’s rarely happened in quite a while. Even when they had their best season in over a decade (2012-2013), the basketball wasn’t that fun. The team was simply good, or good enough to make the conference semifinals. #Nets PG Jeremy Lin also said in interview he had "lost the joy for the game" after low point in L.A. but rediscovered it in Charlotte. Joy. With analytics, titles, playoff prospects and the game being turned into one big stat sheet the better the ability to draw information from what happens on the floor, we sometimes forget about things that numbers can’t explain. Magic? Magic doesn’t exist, but it’s some form that transcends things that show up in the box score. Lin is one of those players who has that quality to create that magic, for lack of a better word. To do things that electrify fans, more than so-called big stars of teams, who have the franchise’s PR pushing them to the front page. How can a player who averages 11 points and 4 assists be that special, that influential? Lin’s career isn’t the first go down the road of unfulfilled potential, that has less to do with an inability to bring his entire arsenal capabilities to the floor, and more to do with head coaches being blind or simply mean, not to mention front offices who have their own agendas, which sometimes, surprisingly, interfere with what’s best for the team. A happy Lin, a confident Lin, surprise surprise, is a much better player then one that’s limited by clueless coaches, wrong positions and head-scratching roles. And the Brooklyn Nets are putting their faith in him, along with a head coach that knows how to work with him, and knows exactly what Lin can bring to the team, to the franchise, to the fans, when used in the right way, and allowed to show what he’s capable of. Lin is more excited about the beginning of this season than he’s ever been, at least from the things he’s saying. Obviously, getting the thumbs up from the front office and the coaching staff to be the point guard he can be is part of the recipe for his enthusiasm. The Nets aren’t guaranteed to win a lot of games this season (although I do think they’ll do much better than the pessimistic predictions), but if Atkinson’s system doesn’t take long to tick, and Lin meshes with more than just Brook Lopez as soon as possible, the Nets are guaranteed to be a lot more fun to watch than they have since leaving New Jersey and setting up shop in the city of New York.